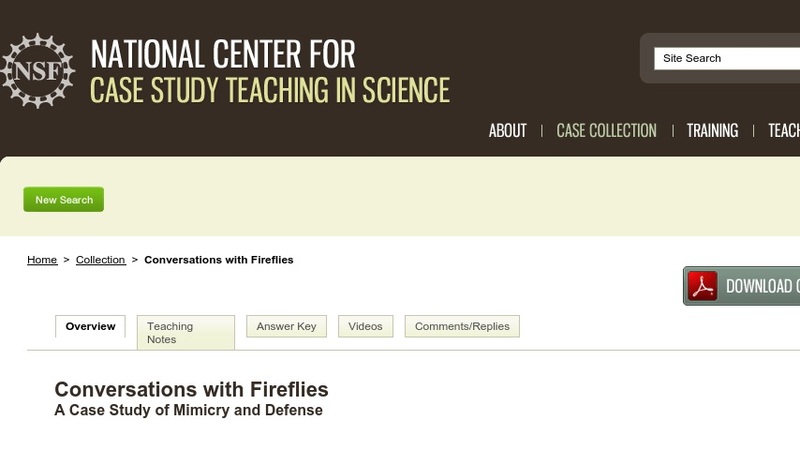 This case explores the aggressive mimicry behavior of the femme fatale firefly - female fireflies in the genus Photuris that mimic the flash pattern of females in the genus Photinus in order to lure Photinus males to their death. The case consists of a series of fictionalized field book entries that are based on an article by J.E. Lloyd that originally appeared in Science in 1965, as well as a series of handouts that the instructor presents to the students for analysis and discussion in class in a progressive disclosure format.